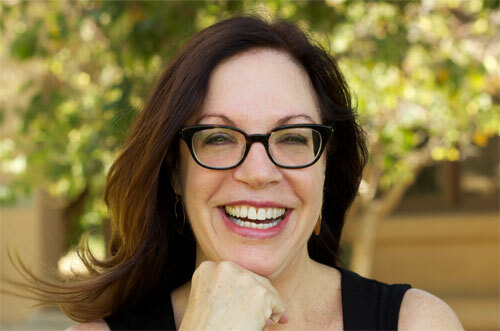 Donna L. Hoffman is the Louis Rosenfeld Distinguished Scholar and Professor of Marketing and the Co-Director of The Center for the Connected Consumer at The George Washington School of Business in Washington, DC. She is an internationally recognized academic expert and sought after industry speaker in the areas of social media, online consumer behavior, and digital marketing trends and has worked with major corporations on the topic of digital marketing strategy, including Procter & Gamble, Intel, Microsoft, FedEx.com, Land’s End/Sears, Walmart.com, and many others. She also serves as an Academic Trustee of the Marketing Science Institute. Donna’s research is funded by the Alfred P. Sloan Foundation, the National Science Foundation and the Marketing Science Institute. She has been awarded many of the field’s most prestigious research awards, including the Robert B. Clarke Educator of the Year Award from the DMEF, the Sheth Foundation/Journal of Marketing Award for long-term contributions to the discipline of marketing, the Stellner Distinguished Scholar Award from the University of Illinois, the William O’Dell/Journal of Marketing Research Award for long-term research impact and the Robert D. Buzzell Marketing Science Institute Best Paper Award Honorable Mention. She is also an MSI “Challenges of Communications and Branding in a Digital Era” research proposal competition winner. Donna publishes widely on the topics of consumer behavior in online environments and Internet marketing strategy in many of the top academic and managerial journals. Her Ph.D. is from the L.L. Thurstone Psychometric Laboratory at the University of North Carolina at Chapel Hill and she was a faculty member at Columbia University, the University of Texas, Vanderbilt University and the University of California before joining The George Washington University. She has also served as a visiting professor at UCLA, Stanford and USC. She was named a Distinguished Graduate Alumnus of UNC in 2002. This is your neighbor from Riverside.